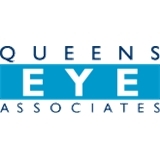 Queens Eye Associates (Flushing) - Book Appointment Online! Queens Eye Associates specializes in primary-care optometry, including ocular disease detection and treatment, contact lenses, spectacle lenses, and laser vision correction.Every aspect of clinical instrumentation and optometric products (frames and contact lenses) represents the state of the art in the field. Our mission at Queens Eye Associates is to provide our patients with a friendly environment and to treat them the way we would like to be treated ourselves. We aspire to blend the newest technologies with established wisdoms in the field. Responsive to our multicultural community, multiple languages are spoken within the office, including Chinese, Korean, Spanish, Portuguese, and Italian. Our doctors are passionately committed to improving their patients' eye health, while maintaining standards such as integrity, courtesy, and respect. I have know Dr. Kim for the past 14 to 15 years, She is an excellent physician, I always go back to her.She is meticulous, highly professional , kind, respectful knowledgeable and sweet.